It’s not hard to pinpoint the exact moment when documentaries became more than just an art house or 'special interest' genre but a legitimate mass market theatrical entertainment product. 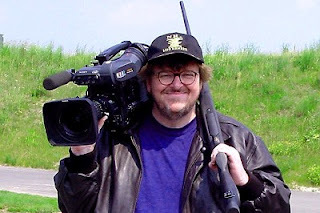 It was May 2002, when Michael Moore’s ‘Bowling For Columbine’ was invited into Official Competition at the Cannes Film Festival. It was unprecedented for a documentary to even go to Cannes, let alone secure a spot in contention for the Palme D’Or. It didn’t win the big prize, but Moore did take home the ‘55th Anniversary’ prize, in recognition of its precedent-setting accomplishment. The film would of course, go on to win the Oscar but not before it became the highest grossing theatrical documentary of all time, taking in $21million in the domestic box office and Moore would eventually win the Palme D'Or in 2004 with Fahrenheit 9/11. But in 2002, with 'Bowling' instantly a bandwagon was formed, and Hollywood was not slow to jump on board. Throughout the decade each year, half a dozen or more documentaries not only trumped the ones before it in terms of intellectually stimulating product, but provided a legitimate alternative to traditional studio product. 1) The Snowball Effect: Once documentaries proved a viable money making venture, its popularity spread bringing more documentary filmmakers out of the woodwork, and creating healthy competition to be better than the next. And with feature film revenue streams from theatrical and DVD distributors now open, documentaries became bigger. 2) Technology: The 2000’s saw a radical change in the tools of production for filmmakers. Between 2000 and 2009, the affordability, quality and acceptability of digital technology compounded exponentially. In 2000, digital cameras were available to use, though still nowhere near the quality of real film. But its affordability meant that shooting quality footage was cheaper than ever, and with non-linear digital editing already established it didn’t take more than a decent home computer system to be one’s own production studio. Gradually as high definition overtook the lower rent DV, digital imagery became near indistinguishable from film, resulting in low cost high production values. We thus saw feature film sized storytelling in the genre. 3) Reality Television: It’s sad to say but there’s no question the prevalence of reality TV in prime time helped acclimatize audiences to seeing real life as entertainment. Survivor premiered on US in 2000 as an instant hit. The format has proved to more than a fad, and a legitimate form of televised entertainment. However manufactured and low brow, audiences can thus see cinema verite as an extension on some of these reality shows, with The Osbornes or Nick and Jessica serving as training wheels for more intellectually challenging yet conceptually similar entertainment. 4) Political and Social Awareness: After 9/11 and the military presence in Middle East, Americans seemed to be more politically aware of the rest of world than ever before. Suddenly what’s happening in Pakistan, Afghanistan, Saudi Arabia, Iraq and Iran immediately influenced people’s lives. Same with socially conscious causes like the Environment, usual topics for documentary filmmakers suddenly became bankable as well. Looking at the top 10 documentaries of all time, there’s a clear influence toward these social and political topics such as the War in Iraq, the Environment, Government Accountability. Audiences not only saw real life as entertainment but ideas, and journalism as entertainment too. The environmental movement of the 2000’s has had the most profound effect on documentary filmmaking. “March of the Penguins”, at a glance, appears no different than programs aired on PBS or National Geographic for decades. But with this increased awareness combined with fundamental storytelling skills and high production values, “March of the Penguins” became a box office smash. Errol Morris was already royalty in documentary filmmaking by the 2000’s. His idiosyncratic subject choices, his particularly cinematic visual look and his moody reflective tones were hallmarks of his style going back to the 70's. With the 'Fog of War', he finally won a Best Documentary Oscar, which he should have gotten a long time ago. 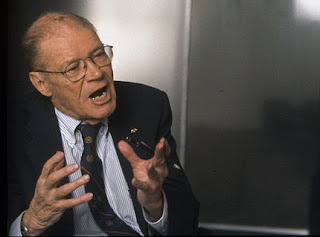 The first person look at Vietnam War architect Robert McNamara is a riveting look at the military turmoil of the 1960’s and McNamara’s key role and culpability. It’s also a marvelous character and psychological study of an intellectual man full of over confidence and ego. 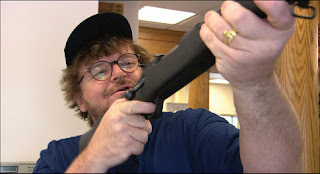 Michael Moore has had a string of great films in the decade, all of which seem to relate and connect with each other like a franchise of working class grievances. Columbine is perhaps his best, a film - an angry and emotional chastisement of America’s obsession with guns and its tragic consequences. Moore uses his affable and waddling everyman persona to maximum effect. 2003 was certainly a good year for documentaries. Kevin Macdonald’s real life story of survival of two mountain climbers stranded for days in the snow capped Peruvian mountains makes for a thriller of a doc as exciting as any dramatic genre picture. Macdonald who freely moves from doc and drama in his career, employs a cinematic style similar to Errol Morris, with impeccably recreated dramatic scenes. In fact, most of the film are these dramatic recreation filmed with such authenticity and emotional drama, the question of whether this film should be consider doc or drama caused much controversy. The Best Documentary winner of 2007, like ‘Touching the Void’, is a Hollywood heist film fashioned out of a documentary. 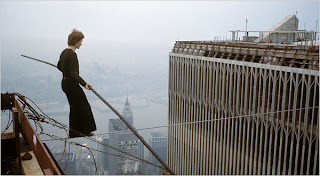 The personality of Philippe Petit the French acrobat and enfant terrible who walked across the twin towers on a hirewire in 1974 makes for a unique personality study as well as a suspenseful thriller. One of the most astonishing and disturbing real life stories ever documented on film. 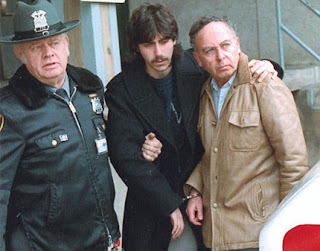 Friedmans is one of those happy accidents of film. Andrew Jarecki who started making a film on a New City clown, uncovered some dark skeletons in his closet which turned the light comic documentary into a jet black story of family abuse and paedophilia. After interviewing the members of the Friedman family he discovered their entire lives were already documented in their own personal super 8mm and Hi8 home movies they had been filming for years. This accidental goldmine of footage turned his little clown film into an ironic masterpiece. If any genre has seen a boom this decade it's definitely documentary and I'm glad you took time to dissect why it happened. Indeed. I could have made a my own top 20 list of Docs of the 2000's. Grizzly Man and Encounters at the End of the World are both great. From Michael Moore to Al Gore I think that there is no doubt that documentary films are not only booming but they are also going on to make real change in the world. Documentaries have the power to engage, inspire, educate and get people involved in new issues. What's not to love and appreciate about that. We should all support the documentary films. It's the best way to understand what should we do to help our environment and how to solve social issues. How did you get to thisinformation ? Its very interesting since i knew something about this but i wasnt completely sure on who to believe… There are a lot of rumors on the internet regarding this.